As I left to take H to school today a very big truck was arriving at the house and I was most intrigued to know what was going to be our latest delivery. 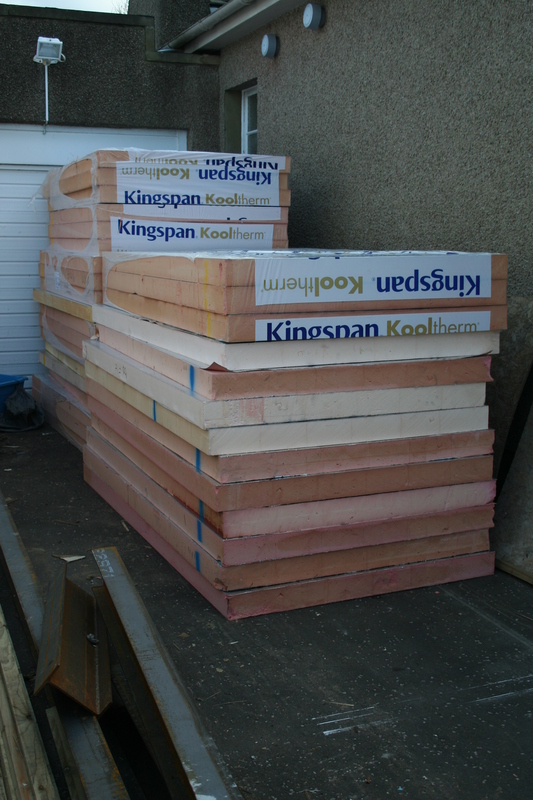 Well, here it is, lots and lots of insulation. I am tempted to make myself a little den out of it because it has turned really cold here again and draughty is not the word for our place again. Mum could feel a draught in a desert – I don’t think she’d like it here at the moment. 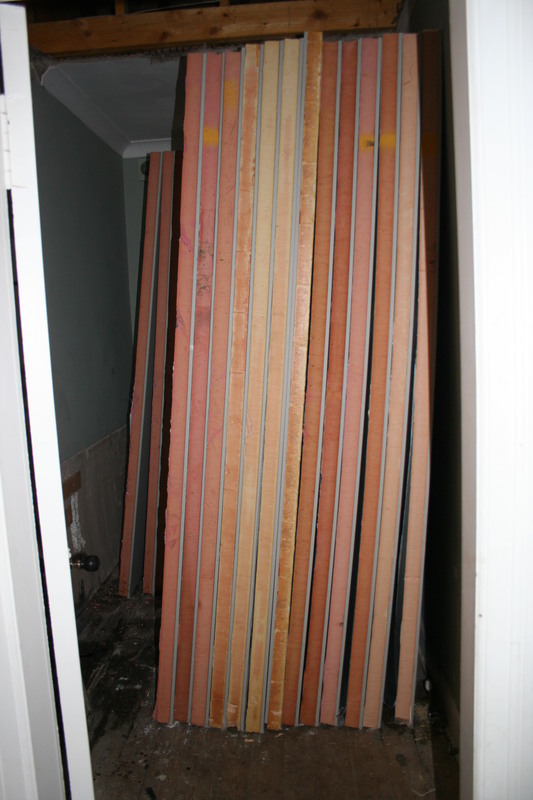 The en suite shower room is on its way out. 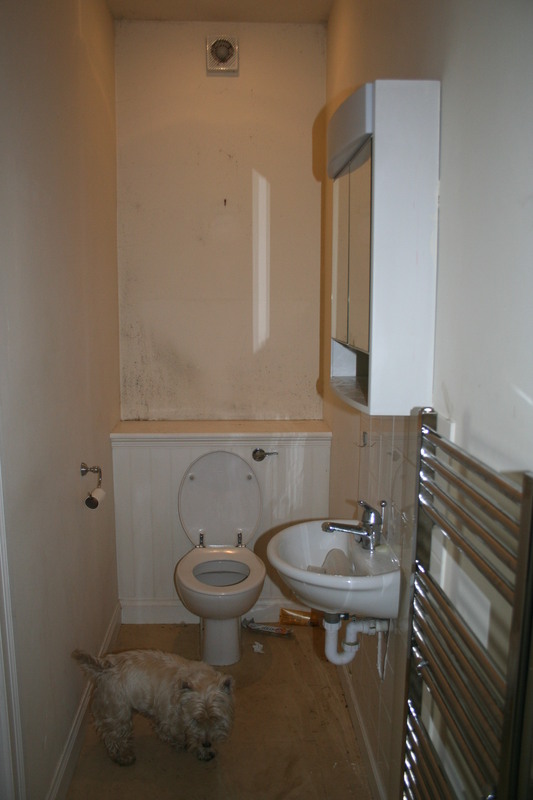 These are the before, we’ll get the after tomorrow when the wall is removed that adjoins the bathroom that was. 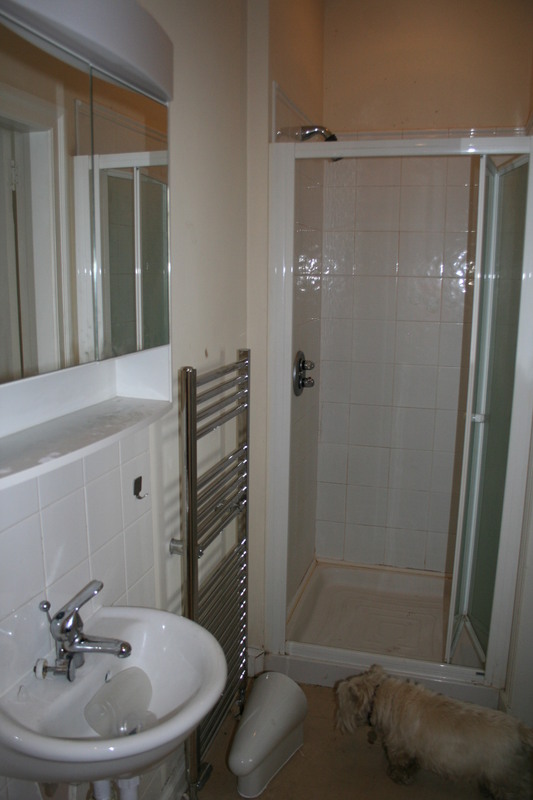 The last picture shows the old bathroom, you can hardly get in. 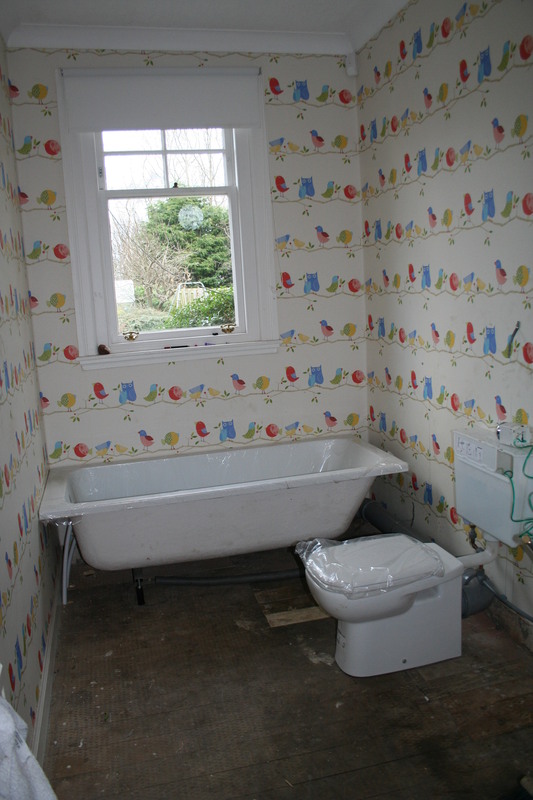 Lastly for now, huge progress today, the loo is working in the new bathroom, hooray. Yes, I’m keeping the cover on the seat, for ever if possible. 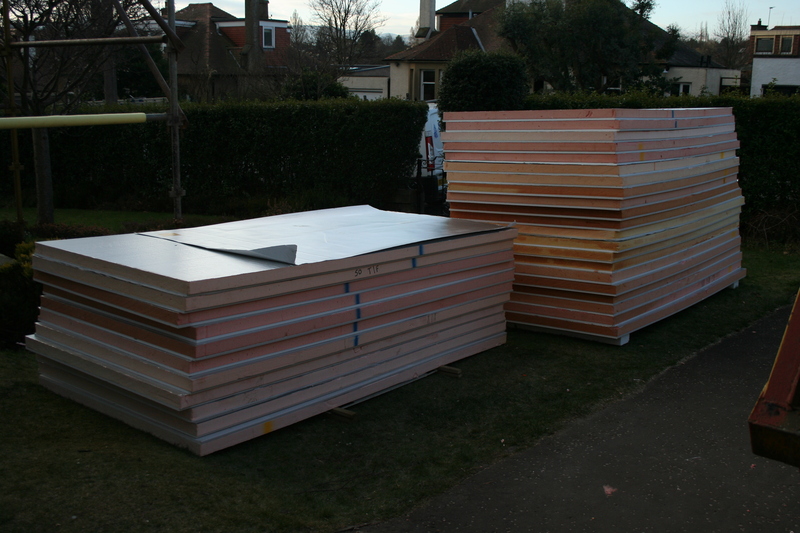 The new bath will be up and running tomorrow. Only problem – there’s no light in there right now. There’s always candlelight. How delightful. Off to collect every bed warming item I can find to keep us all cosy tonight. Almost wishing I had a onesie!! Looking good Katie but don’t envy the draughts !